﻿The attempts that have been made to describe Glenn Gould’s complex personality are endless in number, as are his surprising and often eccentric interpretations. Whether he is considered to be a sensitive maniac, neurotic individualist or uncompromising genius – Gould polarises, provokes and fascinates us long after his death in 1982. As early as 1964 the Canadian pianist ceased to give concerts, since he found appearing before an audience completely unacceptable and preferred to concentrate on studio recordings. Way in front of composers of the Viennese Classical era, which he did not take particularly seriously – although his performances keenly reflect Beethoven’s rhythmicity – comes his personal deity: Bach. 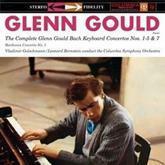 Gould’s notorious strictness gives form to the minutest of figure in the score. He weaves his way through Bach’s music and thereby articulates its tightly knit and multi-facetted depths. No lecturing keyboard proponent this, but a creative co-composer who imbues the spirit of the music with life and sonority. Upon the release in 1980 of the 80th Birthday Edition with its wealth of visual and tonal material, the music journalist Werner Theurich wrote that »no one had ever played more raptly, or more intensively. 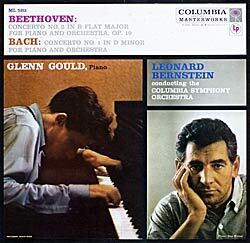 That Gould’s performances are nothing but heavenly can be seen and felt. The rest is pure music.